You are here: Home Garage Door Installation Service Why Do Garage Doors Go Bad at the Worst Times? It never fails…you need to do something or be somewhere and that’s when garage doors are likely to quit working! It might be something simple with your opener or remote, or maybe you just heard a loud POP! Whatever it is when garage doors quit working you can’t get in or out of your garage. 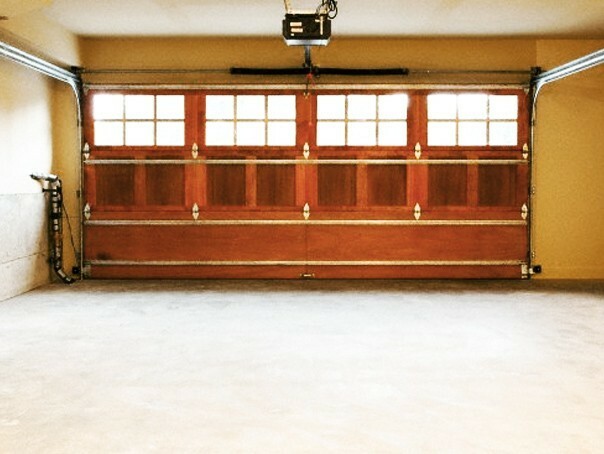 Next time you’re in your garage, stop for just a moment and take a real good look at your garage door from the inside. While many garage door manufacturers have small differences, most garage doors are basically produced and set up very similar. What you will notice as you look carefully is that these doors that usually move up and down with the push of a button or at least with very little effort, are really large heavy panels that are connected and work together. You may have noticed the steel tracks on each side of your door and wheels or rollers that guide the garage door where it’s supposed to go. Look at the pulleys and cables that are tightly stretched, and the bar where those pulleys are attached. A spring (or springs-some set ups need 2 spring) is located near the middle of that bar. There is also a lot of other hardware on the garage door …everything from brackets, to hinges and maybe struts. What may look like a pretty simple door from the outside requires a lot of parts and pieces working together to make it make that simple trip up an down every time you want to get in or out…and we haven’t even started listing the parts that need to work right for your garage door opener to make that happen over and over and over. Whether it’s an entry door, your car or even your garage door, every piece of equipment that moves should be checked and maintained to keep consistently working well. Some parts may just need cleaning or tightening, but most need to be lubricated periodically. 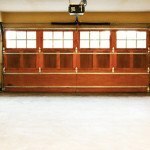 All garage doors should be completely checked out and maintained at least once a year. Because of the weight and need for it to work when you want it to, we recommend that maintenance be performed twice a year to keep it working at its best. A professional will check it out carefully and make recommendations to you if a part or item shows excessive wearing or an issue. Like maintenance on a vehicle or your home, it doesn’t always prevent an emergency, but it will definitely help keep those expensive emergencies to a minimum. We have experienced technicians that can quickly and accurately assess your garage doors condition. They will make the proper recommendations and can perform all needed repairs or maintenance necessary. Titan Doors and Gates can repair or replace all brands and types of garage doors, from the top of the line to the standard and we can repair or replace garage door openers and electric driveway gate operators. Call us today at 817-769-6565 to set up an appointment.